Send an enquiry or email us us 24/7. Office Hours: Weekdays: 08:30 - 17:00 | Saturdays: 08:30 - 12:30. By appointment only. 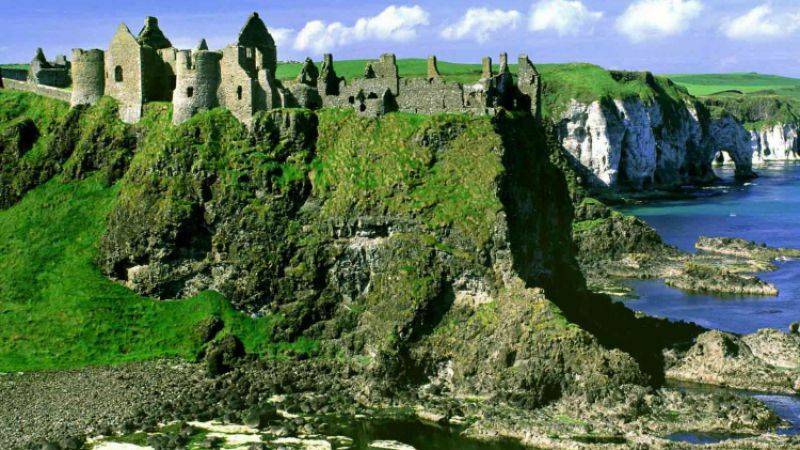 Explore the magnificent Emerald Isle over an 8 day self drive tour - you'll love it! A holiday destination that should be on everyone's travel bucket list. A check list of the must-sees of southern Ireland! Spend extra time in Dublin at start and end of your tour. Enjoy walking tours of Dublin's Trinity College and medieval Galway city. Explore Killarney National Park by jaunting car. 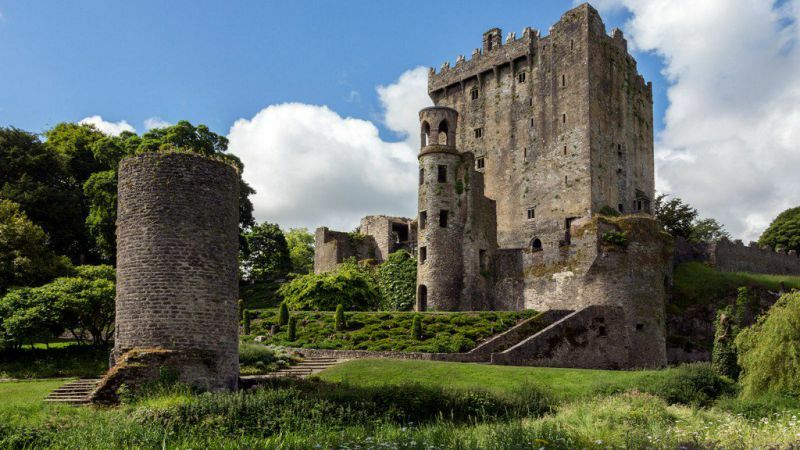 Cruise Dingle Bay, view the mighty Cliffs of Moher and dine at 15th century Bunratty Castle's Medieval Banquet. Arrive in Dublin. In the afternoon, take in the attractions of Europe's most popular city. Don't miss Trinity College, the Book of kells, the National Museum, the National Gallery and trendy Temple Bar. Overnight in Dublin. 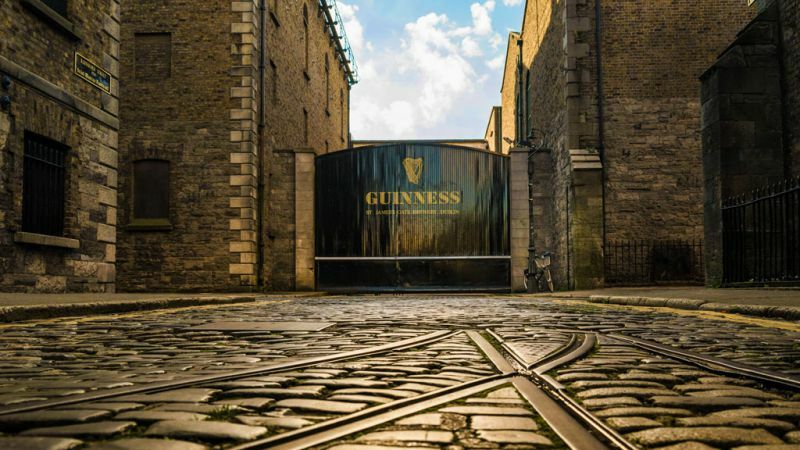 Spend the morning walking around Dublin, including St. Patrick's Cathedral, Christchurch, Dublin Castle, the Irish Whiskey Centre and the Guinness Storehouse. Leaving Dublin travel via Clonmacnoise to arrive in Galway where you can visit the Galway Crystal Factory, the Spanish Arch and Galway's Cathedral. Overnight in Connemara. An early morning start to catch the spectacular Cliffs of Moher. Pass through the haunting area of the Burren, visiting Bunratty Castle and Folk Park, where one can stop for a pint of stout at durty Nellies. Continue on to Adare Village before arriving in Killarney. In the afternoon stroll around Muckross House and Gardens where the nineteenth century Victorian mansion is set against the stunning beauty of Killarney lakes and National Park. Overnight in Killarney. A full day tour of the famous Ring of Kerry. The Ring of Kerry is one of Ireland's most scenic touring routes. At 110 miles long, it circles the awe-inspiring Iveragh Peninsula. 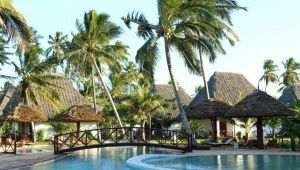 You'll feel as if you have moved into nature's mystic arena, and truly you have, as you pass between soft mountains, through forest glades, around bogs, rivers, lakes and pristine beaches. 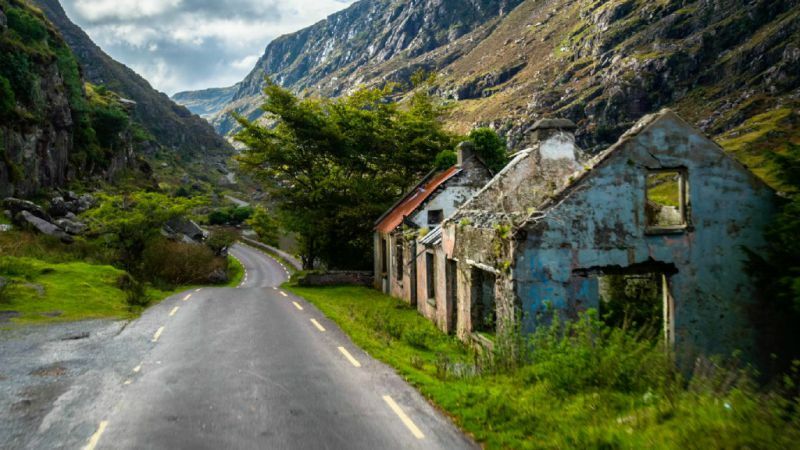 The road between the magnificent MacGillycuddy Reeks Mountains presents secret passes and valleys dotted along the fabled shores of Dingle and Kenmare Bays. Overnight in Kerry. Head for Cashel where you will catch sight of its Rock before reaching medieval Kilkenny. The Rock of Cashel is a spectacular group of medieval buildings set on a rocky outcrop of limestone, looming above the town of Cashel, County Tipperary. There is a 12th Century roundtower, High Cross and Romanesque Chapel, 13th century Gothic cathedral, 15th century castle and the Hall of the Vicars. In the aft ernoon stop in me dieval Kilkenny. Take time to visit Kilkenny Castle and the Kilkenny Design Centre before making your final journey back to Dublin. Overnight in Co.Dublin. The writings of the Greek astronomer and cartographer Ptolemy provide perhaps the earliest reference to human habitat in the area now known as Dublin. In around A.D. 140 he referred to a settlement he called Eblana Civitas. The settlement 'Dubh Linn' dates perhaps as far back as the first century BC and later a monastery was built there, though the town was established in about 841by the Norse. For much of the first half of the 20th century, strife and unrest tore Dublin apart as it was involved in a messy and violent divorce from Britain. Despite ongoing attempts to find a lasting peace settlement, the religious and political troubles further north still dominate Irish politics. There is a vibrant nightlife in Dublin and it is reputedly one of the most youthful cities in Europe - with estimates of 50% of inhabitants being younger than 25. Like the rest of Ireland, there are pubs right across the city centre. 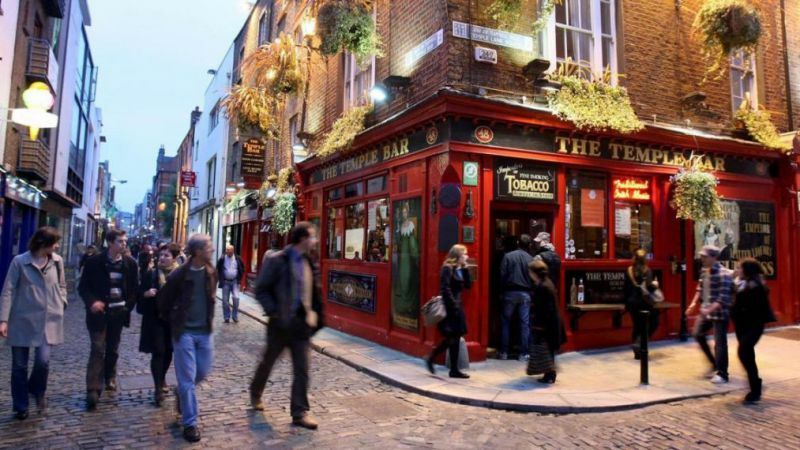 The area around St. Stephen's Green - especially Harcourt Street, Camden Street, Wexford Street and Leeson Street - is a centre for some of the most popular nightclubs and pubs in Dublin. A north-south division has traditionally existed in Dublin for some time, with the dividing line being the River Liffey. The Northside is seen by some as working-class, while the Southside is seen as middle and upper middle class. But this is not a clear divide in reality by any means. Due to the volatility in the South African currency and the price of fuel affecting the price of air tickets we cannot ensure the accuracy of the price as mentioned. The price was correct at the time of printing on 28 March 2019.